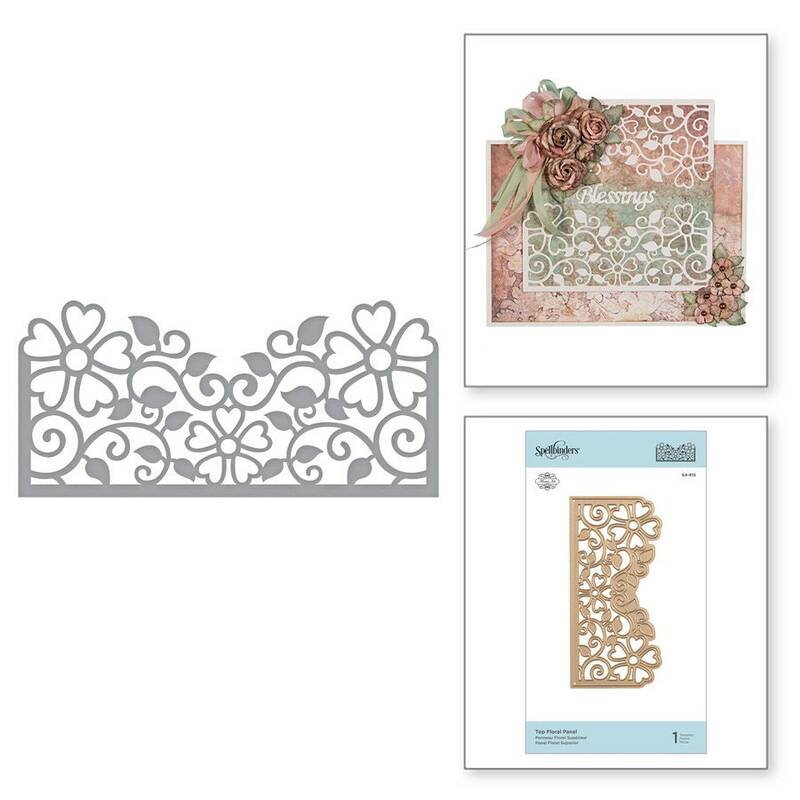 Shapeabilities Top Floral Panel Etched Dies is intricate design full of swirly vines and heart-shaped petal blooms to dress up your card front. 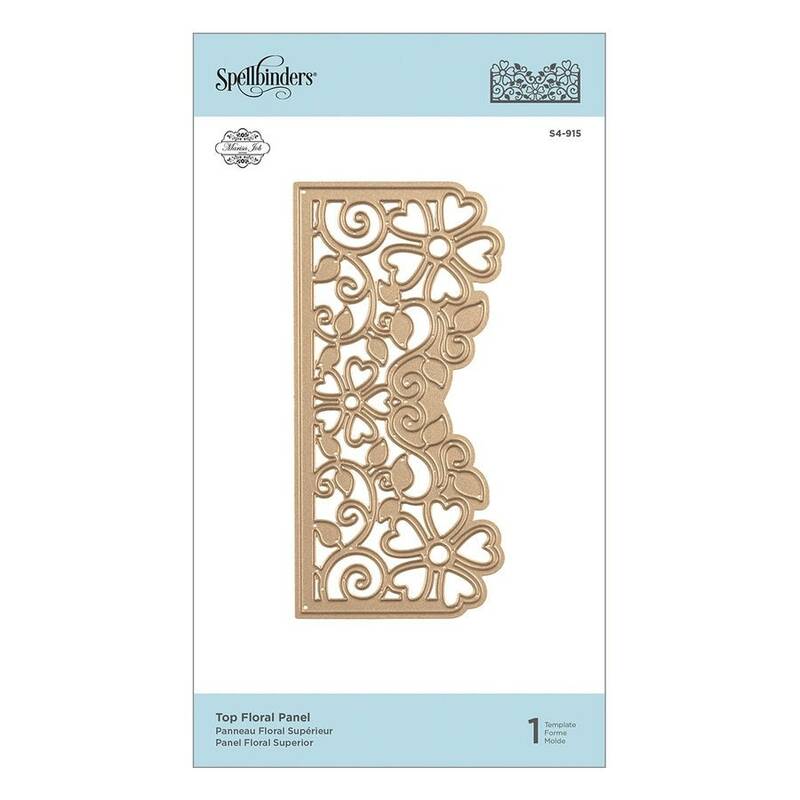 If you are looking for another design option, see S4-914 Side Floral Panel set. 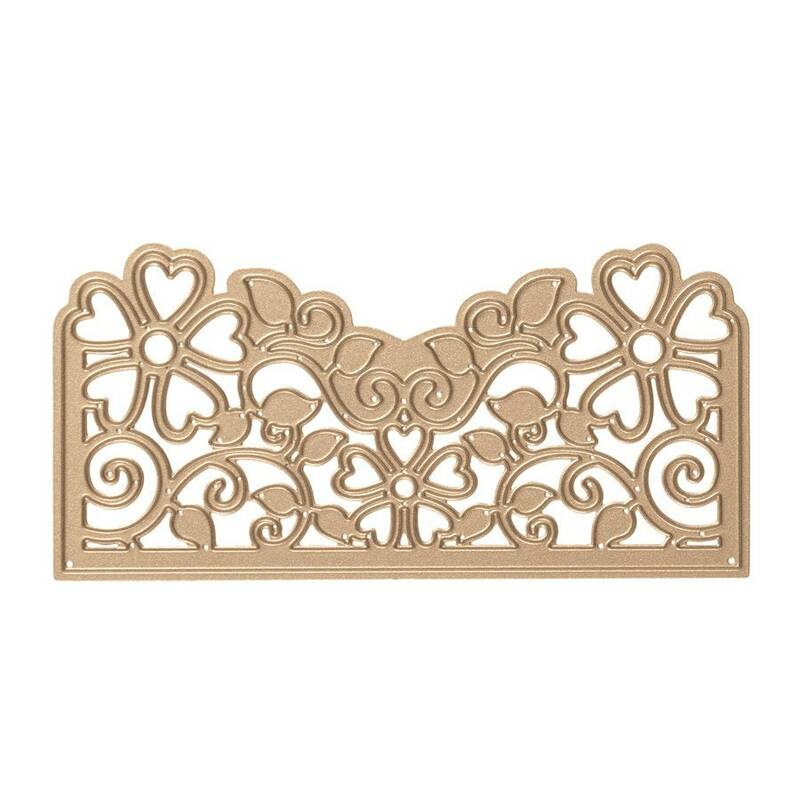 Blooming Garden Collection by Marisa Job brings sweet floral designs in many forms from accents to boxes to frames. Perfect for special occasions such as weddings, showers or as a lovely gift.